If you are struggling with home organization as a stay at home mom — I feel you. In fact, this is one area where I’ve never felt quite complete. But, have no fear! I want to tell you that yes, this can be done. No, it is not always easy. But it can be done- even for those of us who are incredibly disorganized. 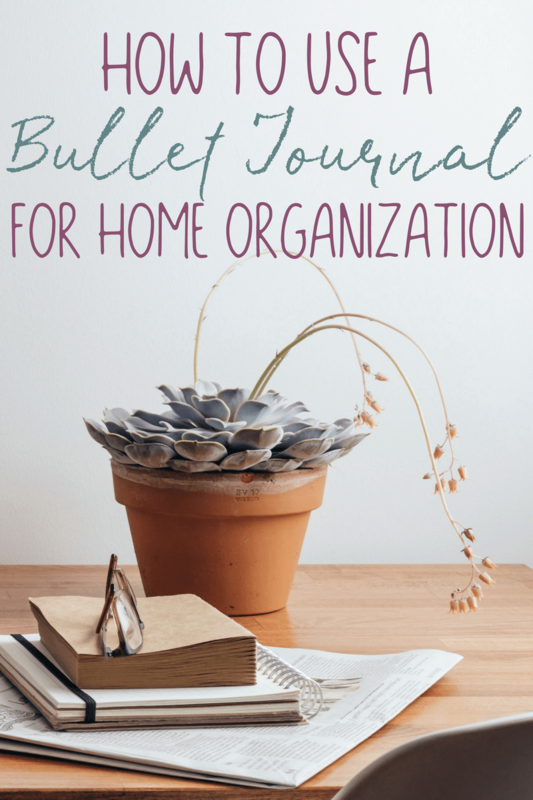 I would encourage you to consider using a bullet journal for home organization. Once you say that, the pressure is on to find a way to get organized. Soon the pressure becomes too much and you decide that you’re going to try and do the best you can, but in the end, everything goes haywire. This is a big problem if you’re having problems finding ways to get organized that works for them. One way that more people are looking at more than any other is to keep a simple journal that will allow you to keep track of your cleaning and organizing. 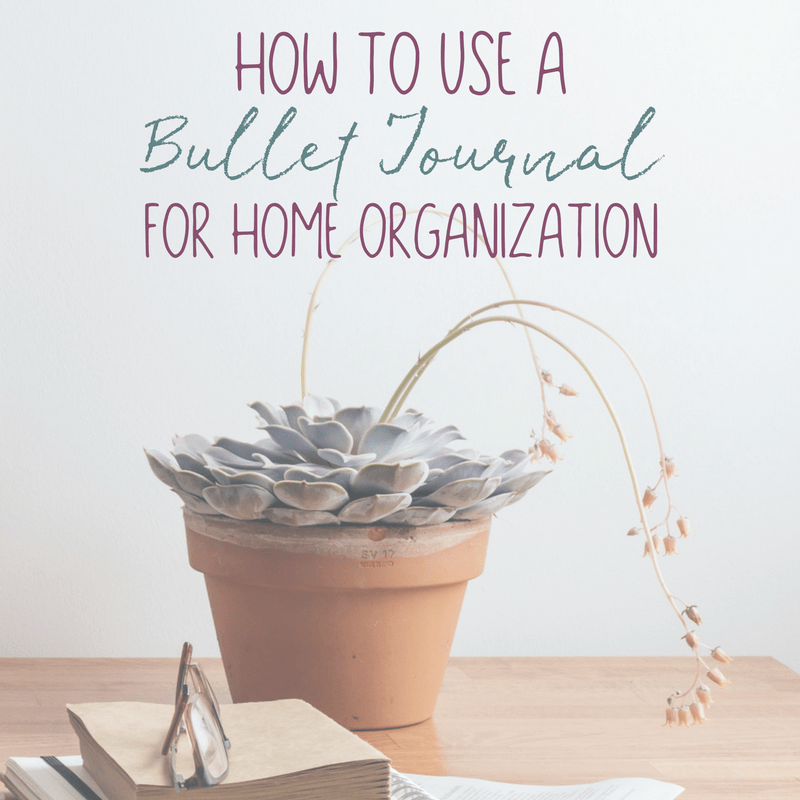 There are a couple of different ways you can use a bullet journal to get your housework and cleaning under control. Making an index in your journal might seem like a silly thing to do, considering that you are the only person who is going to be looking at this thing, but this is all about getting you plenty organized. Being organized is a force of habit. That means that you want to organize the thing you are using to get organized (say that five times fast) as a kind of practice run through. Making the index and laying out what sections will be in this journal will help you lay out how you want to go about tackling your house cleaning. You can certainly add sections after the fact, but this can also act to make sure you are sticking to the framework you laid out. Once again, when you go to make your index, make sure you are writing down the page numbers and names of each month. That part is still all about staying organized inside your organization. If you want to break it down even further, you can have four pages per month log and on each page, is a space for a week of the month. This will allow you to organize right down to the smallest detail. On these weekly or monthly logs, you shouldn’t be afraid to make handwritten checklists. Go through at the beginning of the week and figure out everything you have to do to clean up your home. Then go down the list and make a place where you can either check it off or cross it off. Some people say checking something off is better than crossing it out because you can more easily see what you have done and what you still need to do. Don’t skip a task you feel needs to be done. Make sure everything is on the list, even if the task is as small as “sweep kitchen floor.” Depending on the size of your kitchen, this might take almost as little time as it did to write it down. You’re still going to like checking that off and seeing that it’s done. If you are someone who tends to get vapor lock because you don’t know what you should focus on next, this can be a big help. You’ll know when you did it and because of that, get a rough estimate of when you need to do it again. While you don’t want such a small log that you have problems writing in it, you also don’t want one that is so big that you can’t keep it with you. If you have a log sitting in one room, while you’re cleaning another you might decide it’s not worth the effort to go and get it and cross your finished checklists off. The point of all of this is to stay organized. Repetition is how you do that. If you have always had a problem really staying organized when you are supposed to be cleaning, you will find that keeping a journal allows you to stay on track always. You’ll know at a glance what your day entails, and you’ll know how to schedule around it. This absolutely makes life easier. While a journal is a great place to let it all out when you are going through a difficult situation in your personal life, it also is a great way to learn more about yourself in a more general way. With a closer look at the benefits of journaling, you may realize that this is an excellent resource to use to manage your busy household more efficiently. When you are stressed out about how much work you have to do around the house or how you will manage getting all of your kids to their different activities after school, you may feel overwhelmed and anxious. This mindset creates a mental challenge, and it makes it difficult for you to concentrate and to enjoy the small joys in your daily life. It can even lead to burnout. Journaling gives you an excellent way to clear your mind and to unwind. While some people journal for up to an hour or more each day, you can simply sit down for five or ten minutes to create a small journal entry. This is an excellent way to improve your mental health. After your mind is clear, you may be able to think about ways to better manage your to-do-items. It may also help you to focus on the items that you are currently doing, and this can boost efficiency. Because your busy schedule may be at the front of your mind, you may find that some of your free-flowing journal entries explore the activities and chores from time to time. When you spend time focusing on how and why you are doing these activities, you may find a better way to address them. With some items, you may find that they are not needed or are not convenient. For example, if your child’s piano lesson is booked at the same time your other child’s soccer practice is scheduled, you may realize that a simple solution is to schedule the piano lesson for a different time that is more convenient. Journaling may also help you to determine if you are pulling more than your fair share of weight. Remember that chores may not be evenly split if one parent has a much more demanding work schedule than the other. However, this does not mean that you need to do all of the work. The other parent should pull some weight, and you may get the kids to pitch in and help in different ways. Journaling may give you clarity about how to allocate weekly chores so that everyone does their fair share. 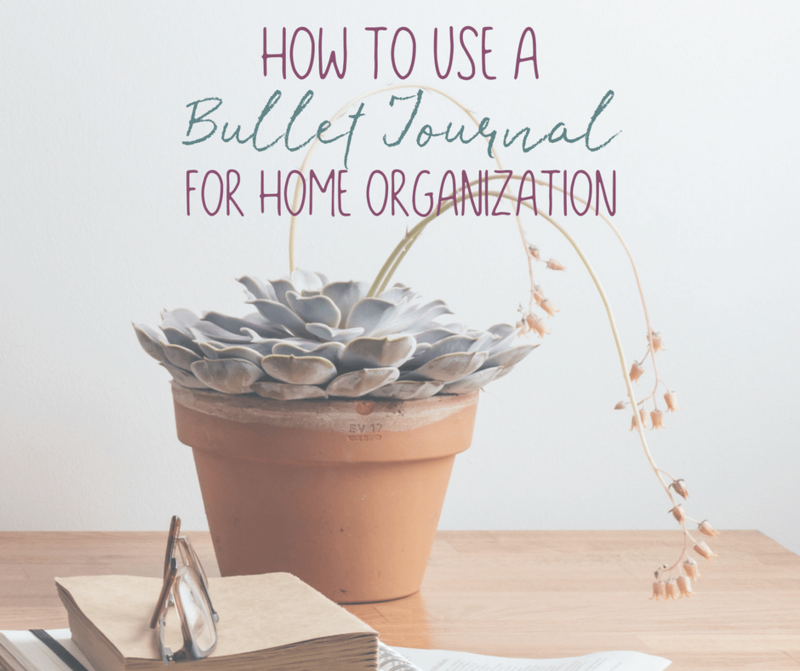 Journaling can help you in each of these ways, but there are instances when you and your family members are simply too busy to handle all aspects associated with running a busy house. If you have determined that your to-do list is too demanding and that you cannot reasonably expect to get help from your family members, you may need to look outside the home. For example, you could set up a carpool with other busy parents to get your kids to their various activities. You may determine that you need to hire an assistant at work so that you have more time to spend at home. Perhaps you can work remotely to better manage your busy home life. You may even hire maid service to clean your house periodically. Journaling is an excelling way to reduce your stress level regardless of the source of the stress. It can help you to find balance and harmony in your life when you are going through tough times and even when your stress is caused by your daily activities or schedule. Many people who journal regularly find that they can think through their problems more clearly, and this includes both smaller or larger problems. If you do not currently have a journal, now may be a great time to begin journaling. provide you with excellent benefits.